Stephen Crane (1871-1900) was a prolific American poet, novelist and short story writer. He is recognised by modern critics as one of the most innovative writers of his generation. 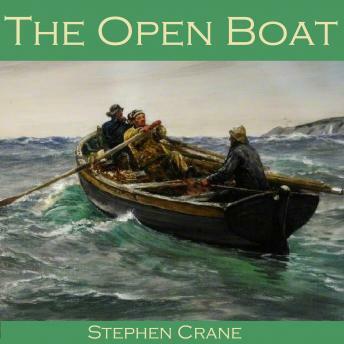 'The Open Boat' is probably Stephen Crane's best known and most admired story. It tells the adventure of four sailors, the captain, the oiler, the cook and the correspondent, who are sole survivors of a shipwreck at sea in a small rowing boat off the coast of Florida. The camaraderie of the four, juxtaposed against the individual struggles which each has with his own mortality and the complete indifference in which the universe holds their fate, creates an atmosphere and dramatic tension as they face their last battle for life.